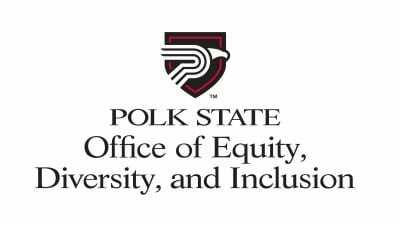 We are excited that you are interested in Polk State College. The Human Resources team is committed to providing high quality, comprehensive human resources services to the College’s administration, faculty, and staff. We comply with all federal and state employment laws. The Office of Human Resources is located in the Administration Building (WAD) on the Winter Haven campus. We are on the second floor, Room 204. We are committed to responsive and timely service to all applicants and employees. Monday – Friday, 8:00 a.m. – 5: 00 p.m.
We are dedicated to supporting the College mission of student success and service excellence. We value Diversity, Integrity, Knowledge, Leadership and Service. Polk State College is a Drug-Free Workplace.